If you are considering applying for a WAYK internship, but would like to hear more about the experience from someone who’s gone through it, please feel free to contact an alum of our internship program. Sky Hopinka is a Ho-Chunk Nation national and a descendent of the Pechanga Band of Luiseño Indians. While looking for ways to learn Hočąk, one of his heritage languages, he met Evan at the Makah Canoe Journey in 2010, realized WAYK was a perfect fit, and in 2011 began learning chinuk wawa through WAYK, and took part in the Confederated Tribes of Warm Springs summer program WAYK was running that year. During his undergraduate at Portland State University he ran a chinuk wawa language night and helped train incoming WAYK interns. He was also able to graduate with chinuk wawa as his Bachelor of Arts foreign language requirement. Currently, he is attending the University of Wisconsin Milwaukee where he is pursuing an MFA in Film, Video, and New Genres. His video work focuses primarily on language and culture and in no small part has been informed by his experiences with WAYK and language teaching and learning. Being in Milwaukee has the added benefit of allowing him to focus on learning Hočąk and applying WAYK to that learning process. He’s always looking for TQ:Wingpeople, so anyone interested in learning Hočąk, let him know. Follow Sky on Twitter and Instagram. 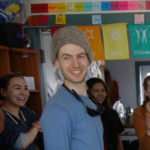 Will Monroe was introduced to WAYK in a club at Stanford (led by David Edwards) and joined the WAYK team in 2013 to work with the Kodiak Alutiiq language community. He also returned for a brief visit to Kodiak (Alutiiq) and Anchorage (Unangam Tunuu) in 2018. 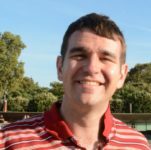 Between those two summers, he was back at Stanford doing graduate studies in natural language processing, the study of computer algorithms for handling human language. He is now in Pittsburgh, Pennsylvania, putting his research and WAYK skills to work for Duolingo, the popular language learning app. Read Will's guest posts here and here. Follow Will on Twitter here. 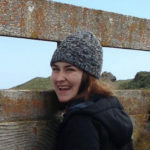 Casey is an undergraduate student at the University of Virginia in the Fall 2015, where she majors in linguistics, which is how she ended up applying to work with the WAYK team on the 2015 Summer Intensive on St. Paul Island, Alaska. Other than languages, she spends a lot of time on the college radio station and buying/cooking/eating/thinking about food. Samuel Catanach is from Pueblo of Pojoaque, an American Indian community located in northern New Mexico. Samuel is a learner of his heritage language, Tewa, as well as a strong proponent of indigenous language revitalization in general. He is a graduate student in the master's in American Indian Studies (AIS) program at Arizona State University. Samuel joins the WAYK team for the 2016 Summer Intensive in Atka, Alaska. He is beyond excited for what the summer holds, what he'll hopefully be able to contribute to the team and community of Atka, and what new skills and knowledge he'll take back with him once it's all over. Myles Creed was raised in Kotzebue, Alaska on the land of the Qikiqtaġruŋmiut Iñupiat and attended Mt. Edgecumbe High School in Sitka, Alaska. His family's ancestry is Irish, English and French. After graduating from college, he spent a few years living abroad, teaching English and learning languages like Dutch and Chinese. 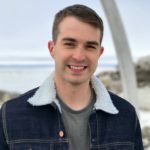 The past three years, Myles has worked for the Alaska Native Heritage Center's language grant, helping develop curriculum to teach Iñupiaq language in Anchorage. 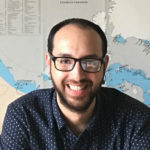 He is currently a graduate student in Linguistics at the University of Victoria and hopes to use his degree to continue to be a partner in Iñupiaq language revitalization efforts. Mary Leighton lives in Vancouver, British Columbia. She has a Master's degree in Education. She was introduced to WAYK techniques while learning hən̓q̓əmin̓əm̓ with the Tsleil-Waututh Nation in 2016. Mary joins the WAYK team for the 2017 Summer Language Intensive in St. Paul, Alaska. She is grateful to have three months on a beautiful island to focus on learning methodology with the local team that is revitalizing Unangam Tunuu. Talia London is a PhD student at the University of Massachusetts, studying education. She grew up on the Lummi Nation in Washington State. Talia is a descendent of the Unangax̂ Village of Nikolski. She is interested in youth leadership, youth voice and Indigenous sovereignty. Erin McGarvey is from London, Ontario. She has her undergraduate degree from Western University in London, ON where she specialized in Linguistics and majored in Music. 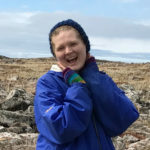 She just finished the first year of her Master’s program in Linguistics at the University of Alberta in Edmonton this past year. 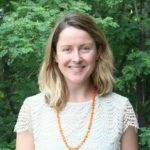 She first interned with WAYK in Atka in 2016. She is super excited to be in St. Paul with the WAYK team to learn and collaborate with the community to preserve and revitalize their language! Robbie Felix Penman has been involved since 2015 with Quechua and Mapuche language revitalization initiatives. He is interested in supporting communities and speakers that are fighting against the disappearance of their languages; including in terms of language teaching, language policy/planning, translation, language revitalization strategy, and language documentation/description. 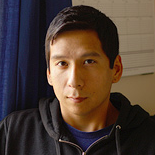 He has an MA in language documentation and revitalization from SOAS (University of London). 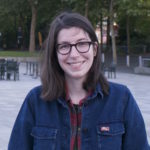 Rachel Sprouse is originally from Stonington, Connecticut and has spent the last few years in New York City. 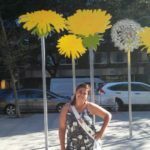 She holds an undergraduate degree in Spanish Linguistics and works with indigenous Latin American languages and immigration issues in NYC. Rachel joins the WAYK team for the 2017 Summer Intensive in St. Paul Island, Alaska. She is quite excited to be joining the WAYK team and the community of St. Paul Island and hopes to learn from as well as meaningfully contribute to this summer’s project on Unangam Tunuu. Get email updates from WAYK.